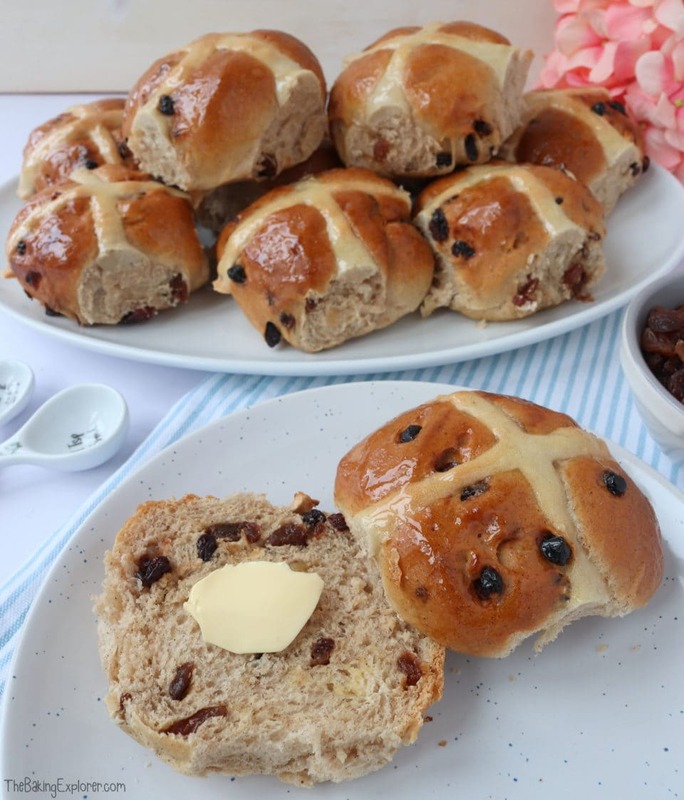 Hot Cross Buns are such a traditional Easter bake and I can never resist them every time they hit the shelves! Making your own at home does take a little time, which makes them perfect for a lazy Sunday bake. 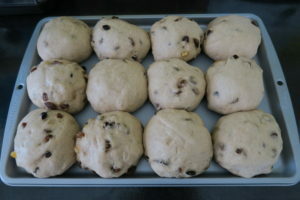 The results are definitely worth the effort – warm, sticky, spiced buns full of fruit. They are great slathered with butter or your favourite spread, and you can add jam too. 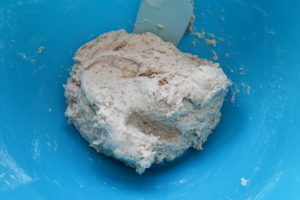 I started by stirring together strong white bread flour, yeast, salt, cinnamon, mixed spice and caster sugar in a large bowl. 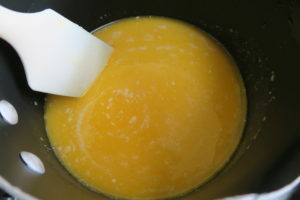 In a small pan I melted the butter with the milk. Then I left it to cool for 10 minutes. 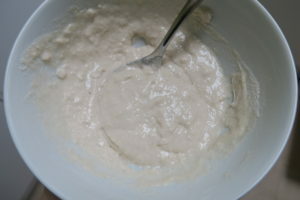 I made a well in the flour mixture, and poured in the milk and butter as well as an egg. 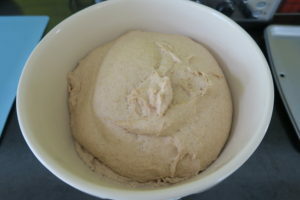 Using my food mixer fitted with a dough hook I kneaded the dough for 10 minutes, then I put it into an oiled bowl, covered it with cling film, and left it in a warm place to rise for 1 hour. 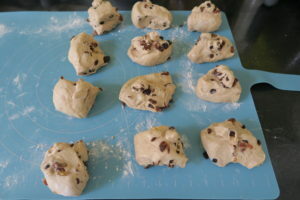 Then I added the mixed dried fruit and split the dough into 12. I rolled them into balls and placed them on lined baking trays. Then I covered the trays again with cling film, covered with a tea towel and left for 1 hour. 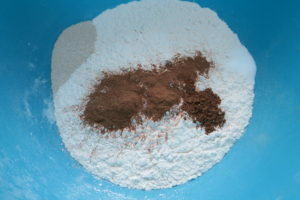 Just before the hour was up, I made the flour paste for the cross on the buns. 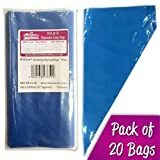 I mixed strong white bread flour with water until a thick paste formed then I put it in a piping bag and snipped off the end. 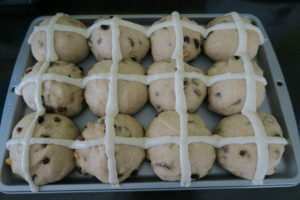 I used the piping bag to draw the crosses along the shaped dough buns. 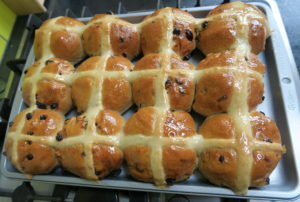 Then I baked the Hot Cross Buns for 25 minutes until dark golden brown on top. 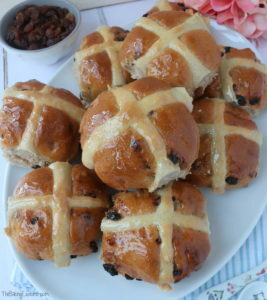 Just before they came out of the oven I warmed up some golden syrup in a pan on the hob then when the Hot Cross Buns came out of the oven, I brushed the golden syrup on top to give them a lovely shiny and sticky sweet glaze. 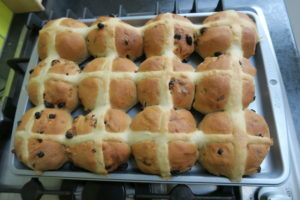 The Hot Cross Buns tasted delicious! 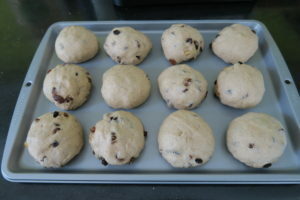 I scoffed one right after they came out of the oven warm with butter on. 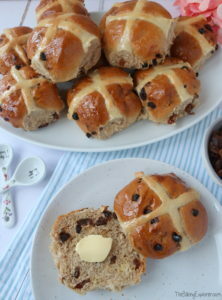 Hot Cross Buns are such a lovely bake to make for your family over Easter. 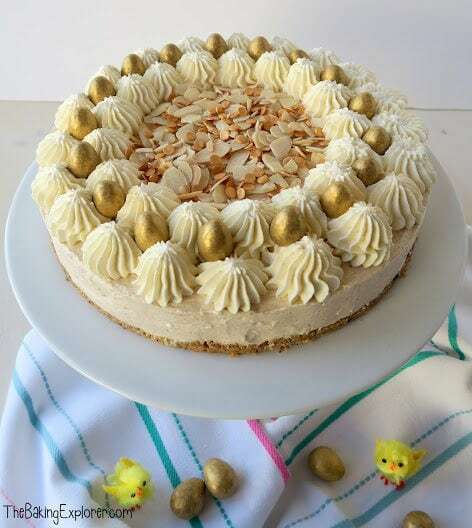 You could also add different kinds of dried fruits, citrus zest, or even chocolate chips if you wanted, to this recipe for a variety of flavours!